The Great Lakes Seabrooke window is the midrange vinyl window from the company that is now owned by Ply Gem. The Seabrooke Series is an upgrade from the Bayshore, with a fiberglass meeting rail that will help with the overall performance and durability. The Seabrooke is marketed on a standalone website, as were all of the Great Lakes windows at one time, the Uniframe and ecoSmart windows still use their own websites. The company has recently done away with the websites for both the entry level Lifestyles and Bayshore window models. The Seabrooke window can be ordered as a double hung, garden, awning, sliding, casement, bay or bow, as well as in a patio door. The double hung comes with the number of standard features that includes triple weatherstripping, a sloped still, and an internal fiberglass reinforced sash rail, and the intercept spacer system. In addition, the Seabrooke also offers flush mounted sash locks and ventilation locks for added security and functionality. The window can be ordered with a number of different glass options, including a standard low-e, high R plus, or the easy clean glass system. In terms of color, the Seabrooke actually comes in a number of different interior options including white and camel, as well as some interior laminate's that include a natural, cherry, golden oak and rosewood. On the exterior, consumers can choose from white, earthtone, camel, and sandstone. Consumers can expect Seabrooke windows costs to range from $30 to $40 per square foot. Comparable windows include Alside Ultramaxx windows prices and Harvey Slimline window costs. In terms of performance, the Seabrooke turns in pretty mediocre numbers in general. The low E standard option will generate a U factor of .34, an SHGC of .24, a VT of .34 and a condensation resistance of 51. 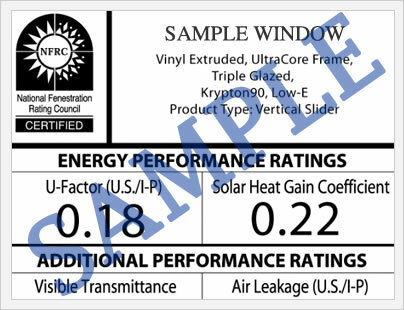 Upgrading to a plus glass package will generate a .29 U-factor, a .24 SHGC, and a .4 VT. We were unable to find any air infiltration data on the Seabrooke window, but will be be sure to post the information once we are able to locate it and verify the rating. The Seabrooke comes with a limited lifetime warranty that covers the vinyl mainframe and sash for the lifetime of the original owner. All moving parts including such things as balances and latches are also warranty for the life of the window. 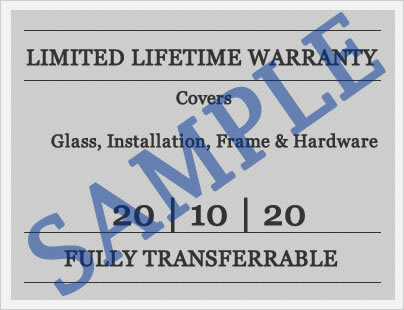 Fiberglass screens and the insulated glass unit are also covered for a limited lifetime, although the prorated insulated glass coverage begins to lower in terms of the percentage that the company covers after year 11. According to the company website, the warranty is transferable to an additional homeowner, although within the warranty language itself it was unclear what procedures a consumer must go through to ensure that the warranty transfers. As with all warranties, we recommend that you read the language for the specific product in full before you purchase. Do you have a Lreat Lakes Seabrooke windows review to share? If so, we would love to hear from you so you can help other consumers make the right decision for their home. Questions about the Seabrooke model or any Great Lakes vinyl windows in general? If so, our editors are always here to answer any questions you may have. Be sure to include your email address if you would like them to get back to you directly.